The need: The InCalf NZ Program Leader wanted a program of work for 2013 to 2016 that fitted the available time and resources. What we did: The Harris Park Group discussed options for a three-year program of work with the InCalfNZ Program Leader, with operational details for 2013. 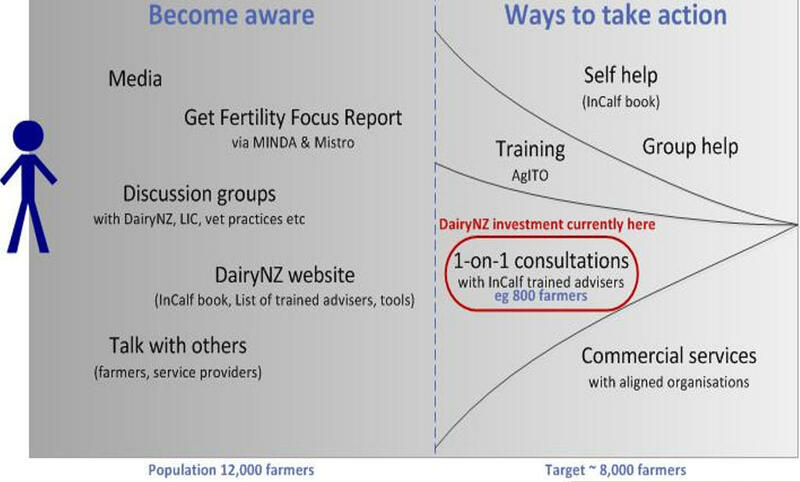 The proposed approach aimed to increase the scale and speed of delivery to New Zealand dairy farmers by providing timely key management messages, multiple channels of entry into the program resources, and signposts to aligned services and rural practitioners.